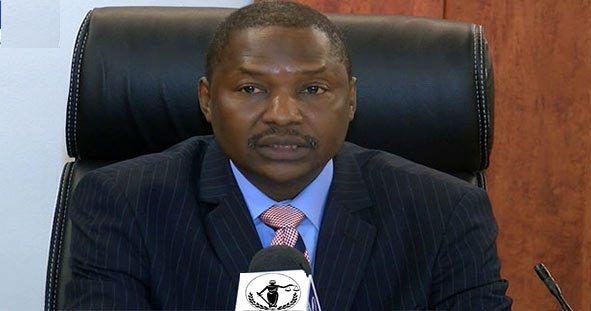 It appears the Attorney General of the federation, Abubakar Malami, has an ulterior motive over pursuing the actions that led to the N5.87 billion fines slammed on four Nigerian banks by the Central Bank of Nigeria (CBN). Sources yesterday said that Malami sent a letter instructing the banks to pay the fine into a so called ‘ASSET RECOVERY ACCOUNT’ different from CBN’s, despite this act being outside its regulatory purview. Sources say that in the past when Banks paid fines imposed by the CBN it never went into any strange bank account. It would also be codified and explained clearly to the affected financial institution. “It appears that they are making this up as they go and it is very embarrassing for the nation, in addition to being quite dangerous for the stability of the financial system,” the source said. Sources tell BusinessDay that the letters sent out by the attorney general’s office to the banks had numerous errors and wrong details. Some had wrong figures, wrong bank addresses, confused the titles of those it was addressed to in some cases, and in one case mixed up Stanbic IBTC, with Standard Chartered Bank. BusinessDay has learnt this is all happening to protect the fees the lawyers used to ‘investigate’ the new MTN CCI allegations will ultimately earn. “There is complete shock and consternation in the financial services industry,” the CEO of a major securities firm says. The CBN yesterday debited the accounts of the banks for the sum of N5.87 billion as payment for the imposed fines. Stanbic IBTC said in a statement published on the Nigerian Stock Exchange (NSE) website that the CBN deducted the sum of N1.886 billion from the account of its bank subsidiary, stating “that the bank has done nothing illegal and accordingly the bank will continue to provide CBN with documents and details in support of contention that our actions in relation to these transactions were not illegal.” BusinessDay also confirmed that the CBN has debited Standard Chartered N2.4 billion ($7.86 million), and CitiBank N1.2 billion, after it fined the lenders for what it claims were illegal movement of a total of $8.1 billion abroad with improper certificates for telecoms giant MTN. Daniel Okezie, the Vice Chairman, Lagos Chamber of Commerce & Industry (LCCI SME group) said CBN is the regulatory agency for the banks and in this case it should not involve the AG of the federation as the problem arose due to lack of agreement (between the CBN and the Banks).